Look up the word “lollapalooza” and you’ll find this definition: an extraordinary thing; an outstanding example. You won’t find any other music festival with a more fitting moniker than Lollapalooza, Chicago’s grandest stage for music legends from across the globe. Each year, some of the top names in alternative, hip hop, punk and pop join more than 100 bands and musicians in Grant Park to bring you one loud, heart-stopping event. 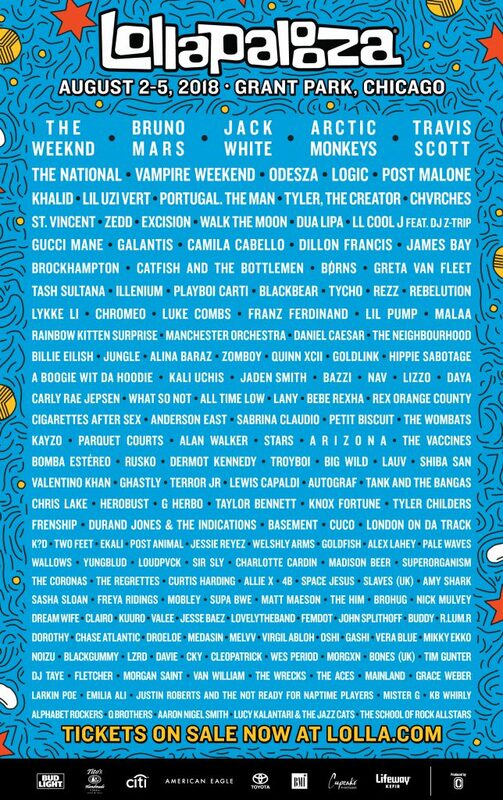 Starting today and running through Sunday, August 5, Lollapalooza is sure to wow the crowds with over 170 performances on 8 stages from 11:00 a.m. to 10:00 p.m. each day. Plus, there will be food from over 35 award-winning chefs and restaurants including vegan, vegetarian, and gluten-free options. Bars and concessions throughout the park are also available with Lolla Cashless. Parking and traffic is expected to be quite challenging, so city officials encourage festival goers to use public transportation instead. CTA, Metra and Pace make getting to Lolla easy! Plan your trip today using the Regional Transportation Authority (RTA)‘s trip planner GoRoo with real-time travel information. The Chicago Transit Authority (CTA) has train and bus routes to Grant Park, throughout the city and to both major airports. Map out your route on CTA or click here to buy a CTA Visitor Pass (the best value!). Traveling from the suburbs? Metra’s commuter rail system makes it easy. 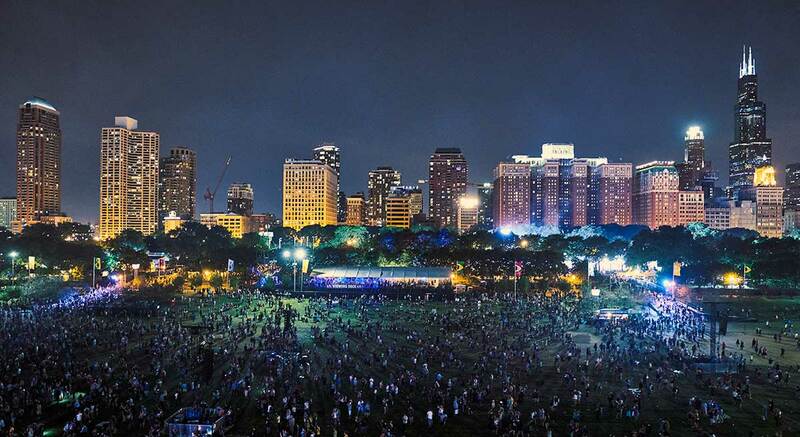 Metra takes you to and from Lolla via one of five downtown train stations within walking distance of Grant Park. Metra is also offering a special two-day unlimited ride train pass. The $15.00 commemorative ticket, featuring Lollapalooza-branded artwork, will be good for unlimited rides on the Metra system on Thursday and Friday. Festival goers traveling on Saturday and Sunday will be able to purchase Metra’s $10.00 Weekend Pass, which also offers unlimited rides. Fans are encouraged to travel after 9:30 a.m., when more capacity is available. The Ventra App is available for download in the App Store or Google Play. For a summary of all extra service being added click here. BNSF Extra service will run on Thursday, Friday, Saturday, and Sunday. Milwaukee District North Extra service will run on Saturday and Sunday. Milwaukee District West Extra service will run on Saturday and Sunday. Rock Island Extra service will run on Thursday, Friday, Saturday, and Sunday. Union Pacific North Extra service will run on Thursday, Friday, Saturday, and Sunday. Union Pacific Northwest Extra service will run on Thursday, Friday, Saturday, and Sunday. Union Pacific West Extra service will run on Thursday, Friday, Saturday, and Sunday. Tickets are still available for Lollapalooza starting at $120.00. For complete details, visit lollapalooza.com.